I love Godzilla. I have always loved Godzilla, even through the ups and downs of campy flicks and odd reboots (I’m looking at you, Roland Emmerich). I love the classics, I love the deep cuts, and I even love the Blue Oyster Cult song, which if you’re curious has actually never even been in a Godzilla movie – but I digress. In honor of the biggest badass kaiju this side of the Pacific Ocean, I decided to show some Godzilla evolution… in GIF form! Get ready to right click save your faves! 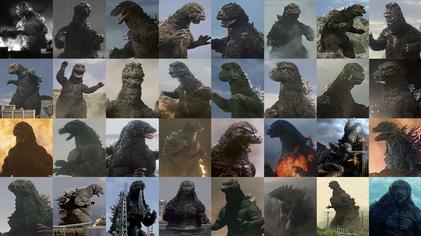 What’s your favorite version of Godzilla? Let us know on social! And if you’re in the mood for some rad Godzilla items, then look no further than this month’s SHOWDOWN Loot Crate! Sign up by April 19th to get items from Marvel, Aquaman, Godzilla: King of Monsters, and more! Previous article Gaming: Two Creepy-Scary Multiplayer Horror Games to Get Into QUICK!